The Central Bank of Ireland has sought to take a positive step in seeking to influence the behaviours and practices within the Irish Funds Industry. The recent announcements on the introduction of new regulatory standards via Consultation Paper 86 being a case in point. The recent industry discourse on the requirements for an ‘Organisation Effective Review’ has prompted multiple stakeholders to express concerns on how this review can and should be conducted. Governance Ireland has been an active contributor to the CP86 debate. 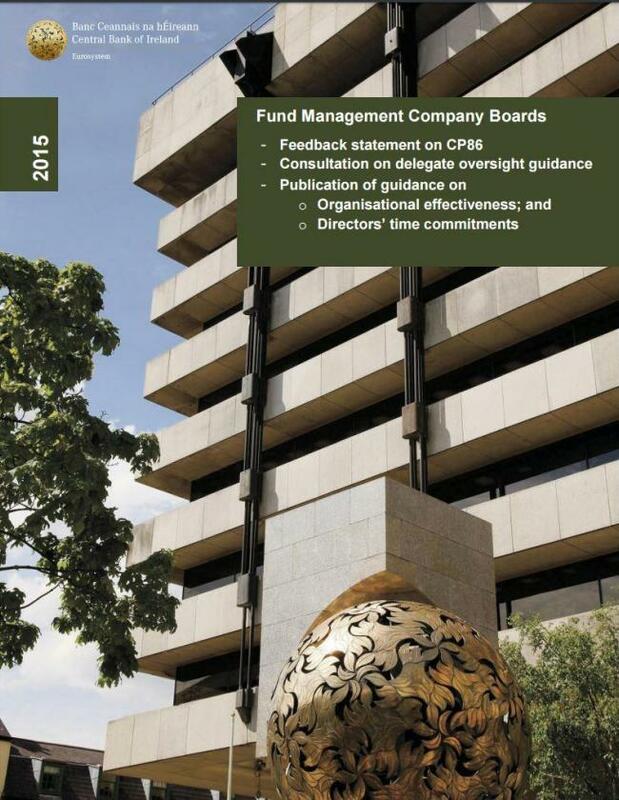 We have consulted extensively within the Irish Funds Industry to obtain what we believe to be a reasonable basis to undertake and complete this new regulatory review. Our approach is designed to augment the Board’s own resources to undertake the independent Organisation Effectiveness Review. Our expertise can be used by the Board to assess and analyse information frameworks that may already exist within the investment manager and related /aligned third party service providers. Governance Ireland proposes to offer a customised service to support the independent director/chair to collate and critically assess the necessary streams of reporting for each designated board activity. Engaging Governance Ireland expertise underpins the independence of the review. Governance Ireland has an established track record in advising on and assessing all aspects of corporate governance across multiple sectors. The Governance Ireland approach does not necessitate releasing sensitive data to an outside agency. We supplement internal expertise with external strategic partnerships as required. For our Funds Industry Service, we have partnered with Clarus Investment Solutions to support the investment performance, strategy and risk parameters within the review. The Governance Ireland approach is collaborative in working with the Board to meet the new regulatory requirements by supporting the independent director /chair in this function. The Governance Ireland methodology for governance assessment is modelled on the SWIFT 3000 framework approved by the National Standards Association of Ireland. For Further Information contact our funds industry director – Noel Ford at 087 6838817 for more details on our service.